The attention shifts to the next speaker as the first bridesmaid finishes her speech and returns to her seat at the table with the bride and groom. Another guest stands up and begins a heartfelt speech that moves many guests to tears. At their table, the bride and groom face the speaker, still holding hands. The bride is so moved by the speech that tears stream down her cheeks. Erich keeps holding her hand, and raises his glass to the speaker with his other hand. 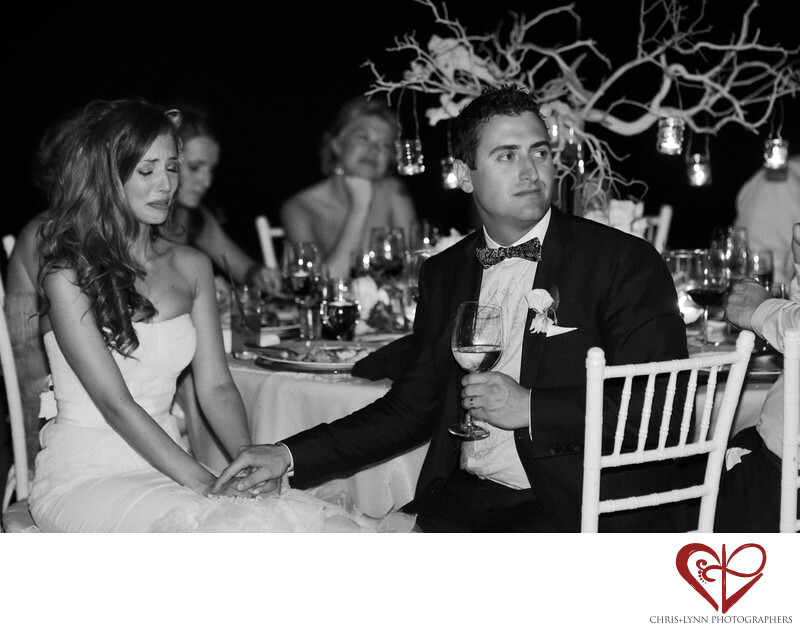 Reception speeches are known for causing tears, laughter, and so many other emotions all at once. The speakers are able to give a message that encompasses years of friendship, adventure, and all of the ups and downs of life. 1/160; f/2.2; ISO 2500; 85.0 mm.